Man, it’s been awhile since July, hasn’t it. Anyways, this link was passed around in Moz’s Top 10 Links of the Week, and it was a pretty enjoyable read. 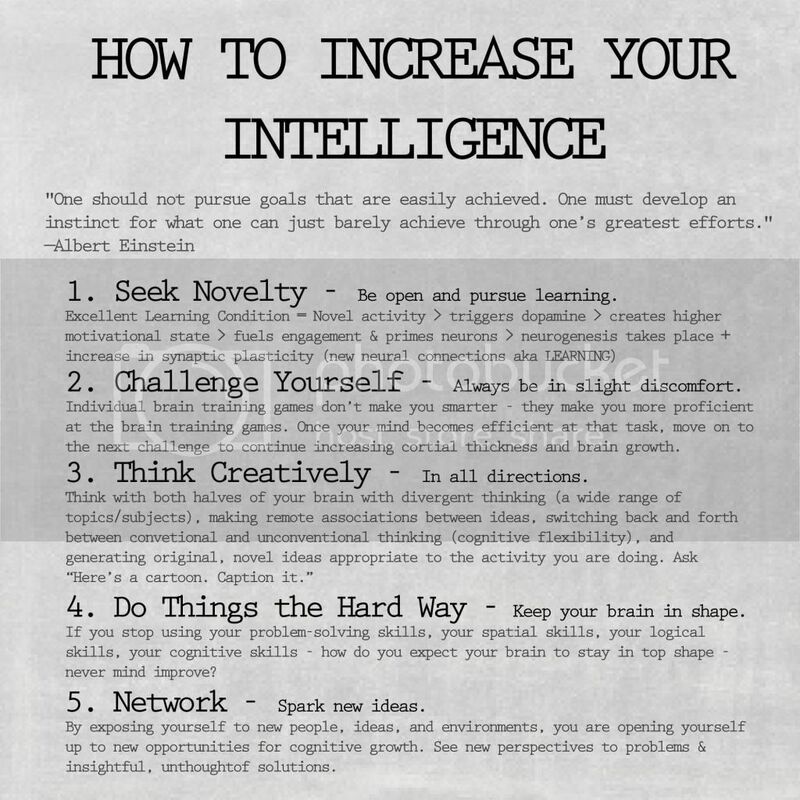 I really enjoyed learning the science behind building your brain power, and have often wondered if you’re born with a high IQ or if it can be developed and improved, much like athleticism. I summed up my notes & printed it off for myself and thought the internet might like one as well. So internet, here you are. Notes from an article by Andrea Kuszewski on the Scientific American blog. Click to print!